That was 1999. Everything since then has been a downhill spiral that has made being on the Dark Side seem like a picnic. Recently, the guy who would be Darth Vader was arrested on charges including resisting arrest and failing to stop for a police officer in South Carolina. Police saw Lloyd speeding, and began to follow him, but rather than slow down, Lloyd sped up and according to TMZ eventually reached 117 miles per hour as he led police on a chase that ended with him crashing into a tree. Today, he finds himself locked up in a psychiatric center to deal with his schizophrenia, after spending nearly 10 months behind bars, which happened before the aforementioned alcohol-induced bout in his land speeder. The actor’s mom, Lisa, tells us authorities reached the conclusion he needed help more than punishment, because he suffers from schizophrenia … thus the move. The ironic thing about Lloyd’s plight into an abyss of rebellion is that he blames the Star Wars Universe for it. No one can know the demons Lloyd has had to slay. His career is over. His image is tarnished. 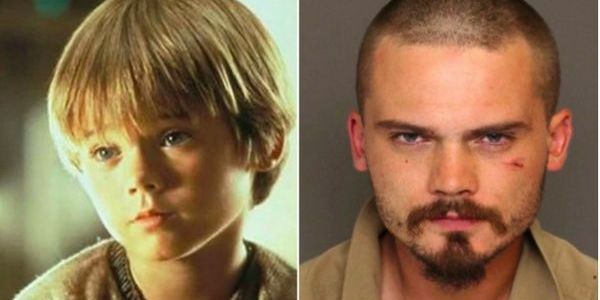 Here’s to hoping he can use the Force to get his life back on track.